When Morrissey unveiled the artwork for his new album Low In High School, he hinted at a return to the anti-monarchy manifesto laid out in The Smiths’ seminal album The Queen Is Dead. The image, depicting a young boy standing outside the gates of Buckingham Palace brandishing a placard reading ‘Axe The Monarchy’, showed Morrissey’s anti-monarchism hasn’t dulled over the years, yet also pointed to a Morrissey still stuck in the past, anchored to the eighties when questions of monarchy felt more prescient. Initially, we wondered whether the ever-political loudmouth would ignore the far more pressing issues of today in favour of more anti-royal ranting, but listening to Low In High School, it’s clear Morrissey has far more important things on his mind. Low In High School is perhaps Morrissey’s most political album to date, quite a feat given his discography includes such eyebrow-raising titles as ‘Margaret On The Guillotine’ and ‘World Peace Is None Of Your Business’. On his latest effort, Morrissey covers topics as broad as US intervention in the Middle East (‘The Girl From Tel-Aviv Who Wouldn’t Kneel’), police brutality (‘Who Will Protect Us From The Police?’) and, of course, Brexit (‘Jacky’s Only Happy When She’s Up on the Stage’). Speaking to Rolling Stone earlier this year, Morrissey said the album posed the question, “Can young people ever be carefree again?”— ironic, given that Morrissey has likely never been carefree in his life and was almost definitely born a fully-formed miseryguts. As such, Low In High School is pretty light on optimism. In lieu of lightness, Morrissey offers didactic life lessons, taking on the role of wizened scholar with a breadth of knowledge to share. “Teach your kids to recognise and to despise all the propaganda / Filtered down by the dead echelons mainstream media,” he sings on ‘My Love, I’d Do Anything For You’. It’s a wordy introduction to an album that often strays into prosaic ramblings, Morrissey’s once inimitable ability to pen a snappy pop song lost amidst the heaviness of politics and cynicism. One of the few exceptions is lead single ‘Spent The Day In Bed’, a similarly instructive track that demands the listener “Stop watching the news / Because the news contrives to frighten you.” Unlike the album opener however, ‘Spent The Day In Bed’ is a much brighter track, its melodic keys an antidote to the claustrophobic harrumph of boggy drums and guitars. On Low In High School, Morrissey has a tough time turning his weighty opinions into convincing melodies. Often, tracks feel like essays or poems backed by arrangements that don’t quite gel with the meatiness of Morrissey’s clunky lyrics. The likes of ‘I Bury The Living’ and ‘I Wish You Lonely’ have all the makings of decent Moz tunes, but are let down by plodding, hard-going arrangements that make the album quite a slog. It’s a pity because, lyrically, Morrissey is often on good form, though his words become buried in viscous, gloopy accompaniments. On ‘I Bury The Living’, a track about a soldier who dismisses his killings as just ‘following orders’, Morrissey offers the damning lines “I’ll blow up a border / Give me an order / And I’ll blow up your daughter.” It’s a good lyric, but ones that loses its levity among the dull thrum of tuneless guitar. Still, while Morrissey’s knack for writing a convincing pop melody may have waned, his hatred of all forms of authority is alive and well. Be it the police, royalty or politicians, Morrissey reserves his most vicious lines for those in power. On ‘Who Will Protect Us From The Police?”, Morrissey writes from the viewpoint of a child frightened by the police’s increasing violence. It could easily be about the recent high-profile cases of police brutality in the US were it not for the final chant of “Venezuela!”, though its sentiment is surely universal. In typical Morrissey fashion, the track’s conclusion offers little hope, the child and their father soon finding the police are above the law, answering the question posed by song’s title as a definitive ‘no one’. It’s little wonder that Morrissey soon grows tired of bearing witness to the violence and injustices of the world. On ‘In Your Lap’, he longs to turn his back to the brutal realities of the world and seek comfort from someone who can quell his mortal anxieties. The nocturnal piano ballad is the album’s highlight, Morrissey no longer a harbinger of doom but a weary soul longing for familiarity and safety. There is a beautiful juxtaposition in the final lines as Morrissey tenderly declares: “They live to kill and they love just to harm / And I’m dreaming of touching your arm.” A universal concern is suddenly made personal, Morrissey inserting his own desire into the song’s dialogue as he momentarily forces his eyes away from the horrors around him and allows himself to be vulnerable. He is no longer the outraged narrator but a sensitive loner yearning for peace. Morrissey has long sung about the concept of home, both from a personal viewpoint and an external one. It’s an idea that ties into his simultaneous love and hatred of Britain, a juxtaposition that will see him decrying the state of the country one moment and then draping himself in the Union Jack the next. But Morrissey’s preoccupations with nationality are more than a little problematic. Speaking to German newspaper Der Spiegel earlier this year, he said “When people immigrate, they bring their religion and their customs with them and try to establish them. And there begins the confusion.” Morrissey contemplates ideas of home on ‘Home Is A Question Mark’ which culminates in the sexually-charged “Wrap your legs around my face / Just to greet me.” The feeling of being united with a homeland is given a sexual euphoria, though Morrissey still remains confused as to exactly where home is. Frustratingly, rather than offer clarification on his nationalist leanings, the track focuses on Morrissey’s own feelings of being at sea. It seems odd that on an album embedded with compassion for life’s underdogs, Morrissey still professes no kindness for the people who need it the most, and indeed the people most likely to share his feelings of being uprooted and lost. Low In High School is a challenging and often downright difficult album, Morrissey leaving little room for lightness on a record so completely immersed in the darkness of the human spirit. But if you look closely, you might find the slightest glimpse of hope. 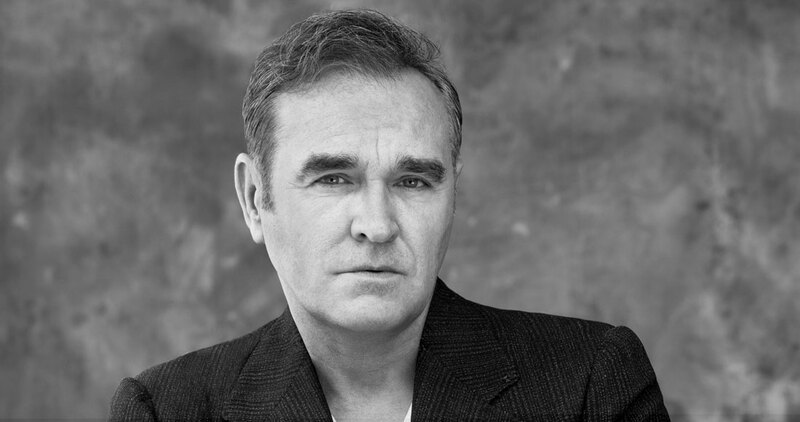 On ‘Israel’, the album’s rather laborious closer, Morrissey asks how religion and happiness can ever go hand in hand: “You realise, if you’re happy / Jesus sends you straight to hell?” He echoes the sentiment of his 2004 hit ‘I Have Forgiven Jesus’ as he questions how sexual and romantic desire can coexist with piety, before drawing the conclusion that the only answer is to love who and how you want, regardless of what ‘virgin priests’ may declare. “Love yourself as you should,” he sings, a rare ‘do’ in an album dominated by ‘do nots’. In a world falling apart at the seams, the purest and most radical form of protest, Morrissey suggests, is to love unconditionally. For all his end-is-nigh bluster, it seems there might still be a glimmer of optimism left in the heart of pop’s resident curmudgeon after all.